The United States Senate recently passed Senate Resolution 522 (“S. Res. 522”), officially designating July 30, 2016, as National Whistleblower Appreciation Day. The resolution, introduced by Senator Chuck Grassley (R-IA) and cosponsored by all 14 members of the Senate Whistleblower Protection Caucus (seven Democrats and seven Republicans), passed the Senate by Unanimous Consent. The resolution sets forth the United States’ long history of supporting whistleblowers, including in the time before the Bill of Rights and the first whistleblower law passed in 1778. Workers who come forward to report fraud or misconduct in their agencies are frequently punished by their superiors for simply telling the truth. These brave citizens should not be penalized, they should be praised. They save taxpayers billions of dollars each year, and they help to bring about a government more accountable to the people. Long ago, our founders recognized that government needs honest and proactive employees to help ensure that it functions properly and efficiently. Our resolution reaffirms this idea and celebrates whistleblowers for their contributions to transparent and accountable government. Congress has an obligation to stand up for individuals who risk their jobs and reputations to shine a light on threats to public safety and wasted taxpayer dollars. Whistleblowers in far too many parts of the government continue to face retaliation for speaking out. The Whistleblower Caucus is committed to fighting for fair treatment for these brave individuals and we are asking our colleagues to join us in supporting this resolution. [I]t is the duty of all persons in the service of the United States, as well as all other inhabitants thereof, to give the earliest information to Congress or other proper authority of any misconduct, fraud or misdemeanors committed by any officers or persons of these states, which may come to their knowledge. The passage of Resolution 522 comes almost one year after seven senators and one congresswoman teamed together to publicly celebrate whistleblowers for the first time in America’s history on July 30, 2015. While whistleblower’s were celebrated last July 30th, the actual idea for National Whistleblower Appreciation Day was prompted by the re-discovery of the 1778 law set forth above based on research published in the Whistleblower’s Handbook, written by Stephen M. Kohn, executive director of the National Whistleblower Center. 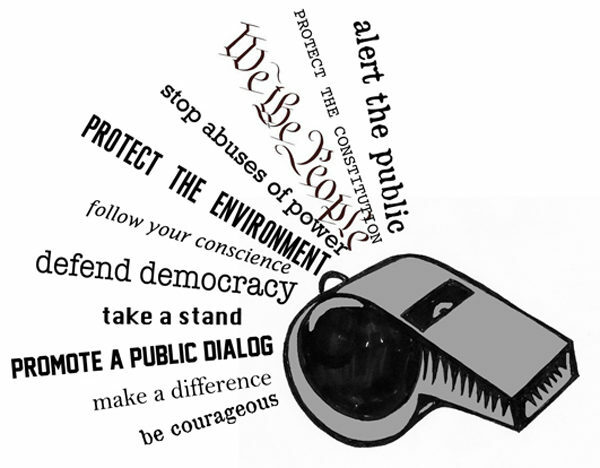 National Whistleblower Appreciation Day commemorates America’s first whistleblower law. At the height of the Revolution, our Founding Fathers recognized the importance of whistleblowers in a democratic society. Senators Grassley has played a key role in bringing together a truly bi-partisan group of Senators to stand behind whistleblowers and celebrate their history and contributions. We hope that the Senate Whistleblower Caucus will play a vital role in defending the False Claims Act and similar, highly effective whistleblower laws, and working toward a day when whistleblowers are thanked for their courage, not fired, blacklisted or worse. Our whistleblower attorney team is proud to celebrate the long history and tradition of whistleblowers in America with the passage of Senate Resolution 522, proclaiming July 30, 2016 National Whistleblower Appreciation Day. If you or someone you know is aware of misconduct, fraud, or otherwise by your employer, the government, or other persons, then you have the right as a United States citizen to blow the whistle on that conduct. Furthermore, those that blow the whistle on wrongdoing are protected under various federal and state laws from retaliation. In order to better understand your rights as a whistleblower, please contact our whistleblower attorney team today. Our whistleblower attorney team can be reached via email at kporter@chrisjen.com, or by phone at 801-323-5000, or through our contact form.